Jamey's job requires that if he wants to ensure he'll get certain days off during the year, he has to put in for all of them. At the same time. For the whole year. We knew we'd be taking an extended-family vacation in the summer, but decided to plan for a few more days off in the spring. We wanted to head back up to my family's mountain cabin. We hadn't been there for too long. As the month of May approached, we looked at the calendar and felt overwhelmed by all the running around already planned (which was minimal actually- we're homebodies if you haven't noticed). So, we decided to keep his days off but stay home instead. Black raspberries, wine berries, red raspberries...all on their way. Jamey had come off of 8 days in a row of work and needed a break. And so did I. Each of us got some much needed time to ourselves to run (Jamey), to work on a project (me), and work outside in general. We accomplished a lot and enjoyed all being together at home. For FIVE days in a row. Sometimes, vacations at home are just we need. The tomatoes, cucumbers, peppers, cabbage, sweet potatoes, corn, and butternut squash were planted in the garden. The first planting of sunflowers went in. Sadie planted a flower garden. 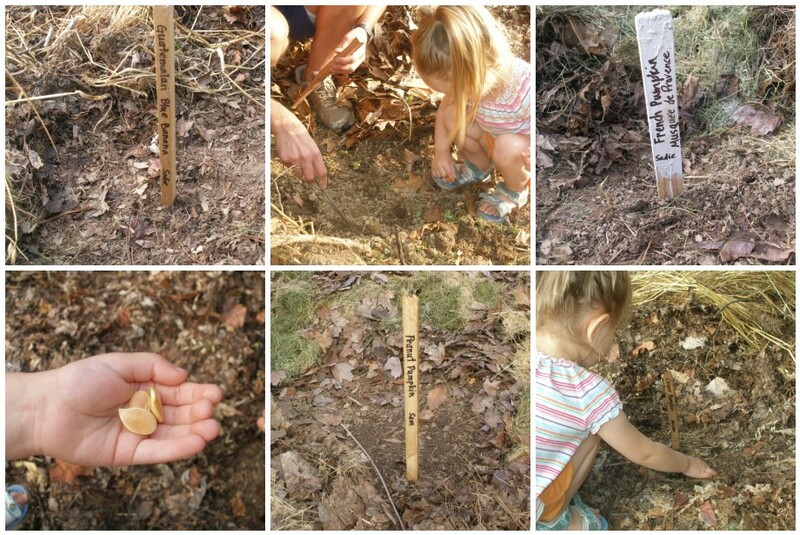 Sam, Sadie and Miriam planted their awesome pumpkin seeds sent to them from a dear friend (Thank you, Mavis!). 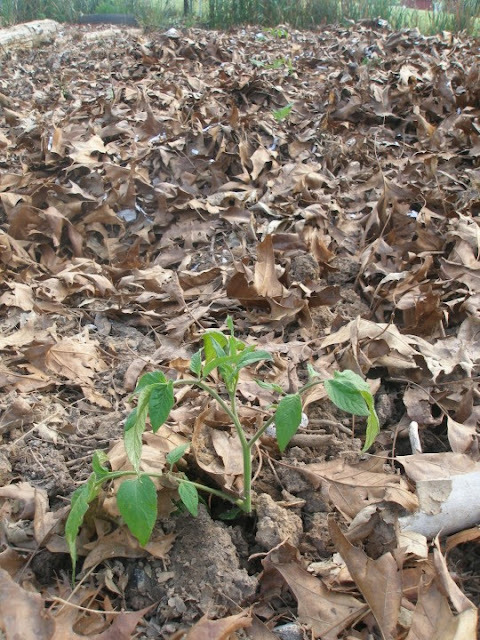 I weeded the dickens out of the red raspberry patch (and they fought back- my forearms are proof) and Jamey planted new shoots in the empty spaces. Pullets were held, herded around the yard and cuddled. Jamey took down a tree and pruned bushes. Flower beds were weeded. The lawn was trimmed and mowed. 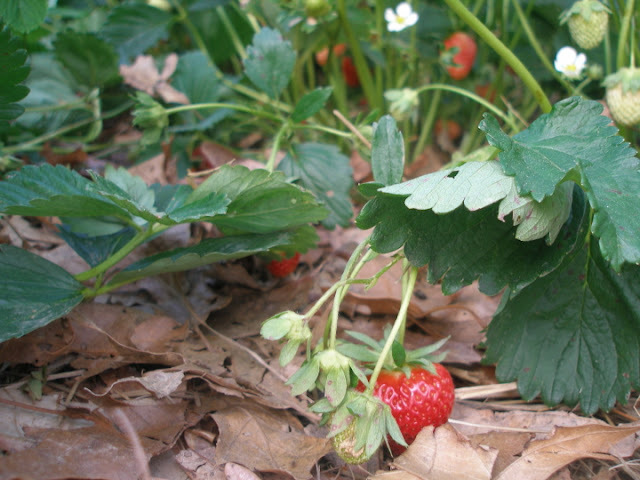 Strawberries were eaten directly from the garden. We hosted a camp out for our church's boy's club and went on a hike. Our church has the nicest boys. Seriously. I couldn't dream of a better group of boys for my Sam to grow up with. Please remind us to take a vacation at home every year. Thank you for hosting my boys at your home for the campout! They had SO much fun! And we enjoyed our night off! Anytime you want a night out with your hubby, just let us know and we will be glad to watch your kids....seriously! I too long for those 'stay-cations'! Catching-up on garden, yard, and home projects is such a good feeling. Although you are tired after, it is a good kind of tired (if that makes sense). Thanks for sharing your week...many blessings! Sounds wonderful to me...we're homebodies, too. 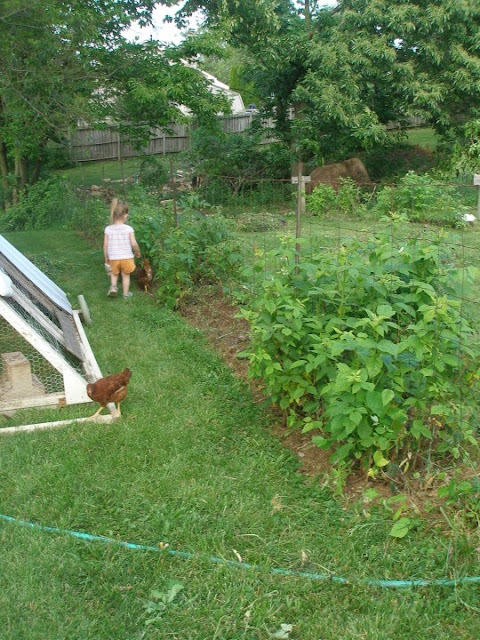 Everything looks lush and healthy...it's gonna be a good harvest, I bet! 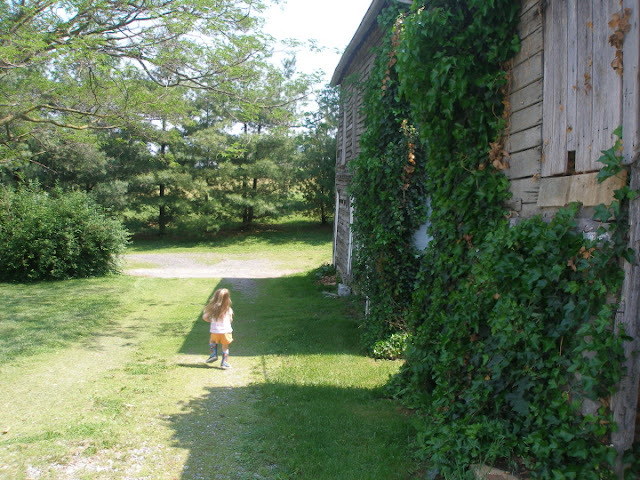 I agree- love the home vacations and always tell myself we need more of them. Great picts and sounds like everyone had a lot of fun! Lovely, just lovely. Be it ever so humble, there's no place like home.